The Cabin Sydney provides world-class, comprehensive addiction treatment in Australia. As part of The Cabin Addiction Services Group, an internationally recognised and highly respected leader in addiction treatment and behavioural health, The Cabin Sydney offers innovative, effective treatment for substance and process addictions using our own unique Recovery Zones method. We employ only the best addiction treatment specialists with extensive knowledge and experience in treating the complex disease of addiction. 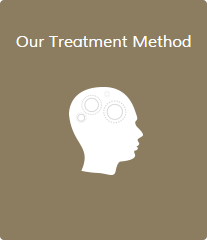 In addition to effective addiction treatment, our clinical team is highly skilled in both identifying, and treating co-occurring mental health issues to ensure lasting, relapse-resistant recovery. Medicare rebates are available for some services with an appropriate referral. In addition, The Cabin Sydney has privileged access to two of the world’s top inpatient clinics, The Cabin Chiang Mai and The Edge. Learn more about our residential rehab facilities. Demanding work and family life make it hard to get the treatment needed to overcome addiction and ironically these are also the very things that suffer and are impacted by addiction. However, because of the progressive and chronic nature of the disease of addiction, it does not get better over time, but rather worse. The Cabin Sydney is also involved in the wider community. The links below will direct you to more information about our work with schools, businesses and other behavioural health practices. The Cabin Sydney’s outpatient programme is a 3-month treatment plan catering to clients’ individual needs based on our clinical assessment. Over the 3-month term, clients will have the opportunity, determined by clinical needs, to select groups from our à la carte offerings. Combined with group treatment, clients will also attend individual sessions 1-3 times weekly based on their specific needs. Group sessions are 60 minutes; individual sessions are 50 minutes. Long-term addiction recovery has been proven to be best attained by stepping down treatment over an extended period of time. Our flexible group offerings allow for clients to create a more moderate treatment plan after completing their initial 3 months. This process group gives clients an opportunity to freely discuss concerns and successes in their lives, with the support of their peers and guidance of the counsellors. The groups focus on emotional content to help clients more fully experience these aspects of their lives and regulate any toxic reactivity. Most recovering addicts have been medicating their emotions with substances and behaviours. Developing intelligent responses to emotional stimuli is essential to addiction recovery. Clients will learn to identify their emotions according to the 8 basic emotions, and develop strategies to more effectively use their emotions as information. Combined with the CBT group, clients will mature in their abilities to manage their own emotions and support others. “Cognitive behavioural therapy (CBT) is perhaps one of the most frequently used psychotherapeutic orientations, with considerable research supporting its effectiveness and adaptability in clinical practice,” according to the US National Registry of Evidence Based Programs and Practices. Clients will gain an understanding of the ‘ABC’ model of dissecting their problematic thinking and behaviour, in order to lead a happier and healthier life. CBT is proven effective in treating depression, anxiety and addiction. Clients will actively engage in CBT practices in this group. Mindfulness, meditation and gentle exercise have been shown to reduce anxiety and stress. This group aims at providing a sense of mindfulness and relaxation through mindfulness practice. This group is offered at the end of the week to provide relaxation and mindfulness for the weekend, a time when many people may feel triggered or stressed. Clients will be introduced to the concept of co-dependency and unhealthy patterns in relationships. A thorough discussion of Boundaries, Boundary failures and Boundary violations will be offered. They will understand the underlying issues that drive enmeshed and avoidant relationships and how healthy boundaries can heal those relationships. The concept of Love Addiction will also be explored. CBT tools will be utilised to better achieve healthy and intimate relationships. Mounting research-based evidence points to the importance of family in helping an individual achieve long-term recovery. Family members of those suffering from addiction are invited to attend this supportive and educational group where they can learn about and participate in their loved one’s recovery and also begin their own healing and recovery from addiction. Family and friends of those suffering from addiction frequently experience depression, anxiety and stress. Our Family Programme is designed to help equip family members to cope with these stressors, and maintain their resilience in the face of such difficulties. Additionally, as their loved ones participate in active recovery, many new questions arise that will be addressed in this group. 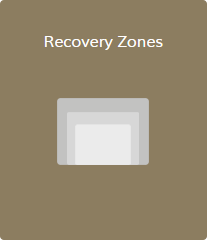 This group caters to clients who have entered later stages of recovery. They have completed residential and/or intensive outpatient treatment and are offered the opportunity to continue their recovery work. This group facilitates an environment for clients to review and share recovery experiences, aftercare plans, sobriety goals and how they are navigating early recovery outside of structured environments. Some groups may involve specific and helpful education pieces while others will be more open for client issues and suggestions for discussions. The groups are facilitated by a counsellor but clients are encouraged to take an active role and bring to group issues relevant to them. 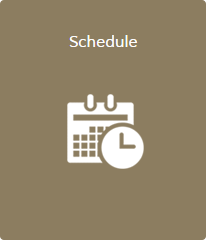 Our offices are open from 10am to 9pm for all enquires and for scheduling appointments. 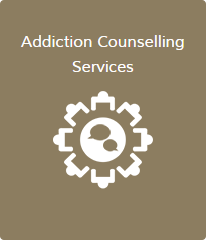 Addiction counselling services takes place between 9am to 7pm, Monday to Friday, and 9am to 5pm on Saturday. Please contact us to arrange a confidential assessment. Please see the schedule below for more details.